Discover the magic of simplicity in this international bestseller, available for the first time in English. Dominque Loreau is the master in the art of de-cluttering and simplifying. Now her groundbreaking L'art de la Simplicité, a huge bestseller in her native France, is translated into English for the first time. 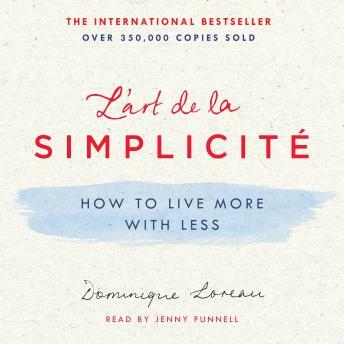 Loreau's principle of "less is more" is set to change your life forever. Living in Japan and inspired by Asian philosophy, Loreau takes you on a step-by-step journey to a clutter-free home, a calm mind and an energized body. Free yourself of possessions you don't want or need; have more money to spend on life's little luxuries; eat better and lose weight; and say goodbye to anxiety and negative relationships. Give yourself the gift of health and happiness; to live fully and freely is to live with L'art de la Simplicité.